Referred to during development as the ZX81 Colour and ZX82, the machine was launched as the ZX Spectrum by Sinclair to highlight the machine's colour display, compared with the black and white of its predecessor, the ZX81. 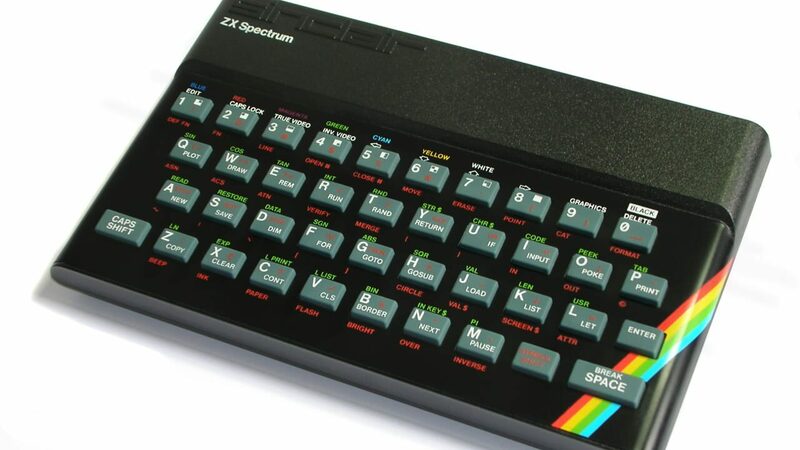 The Spectrum was ultimately released as eight different models, ranging from the entry level model with 16 KB RAM released in 1982 to the ZX Spectrum +3 with 128 KB RAM and built in floppy disk drive in 1987; together they sold in excess of 5 million units worldwide (not counting numerous clones). The Commodore 64, Oric-1 and Atmos, BBC Microcomputer and later the Amstrad CPC range were rivals to the Spectrum in the UK market during the early 1980s. Over 24,000 software titles have been released since the Spectrum's launch and new titles continue to be released--over 100 in 2012. In 2014, a bluetooth keyboard modelled on the Spectrum was announced.